I start my story, an Irish story, with this quote because tracking down my family’s ancestry was a great deal of he said she said from living relatives mixed in with a sprinkling of factual documents bundled with Irish historical information from the 1800s. There were tales of hardship and triumph woven together in the framework of a sizable family spread from Ireland to the United States and today around the world. 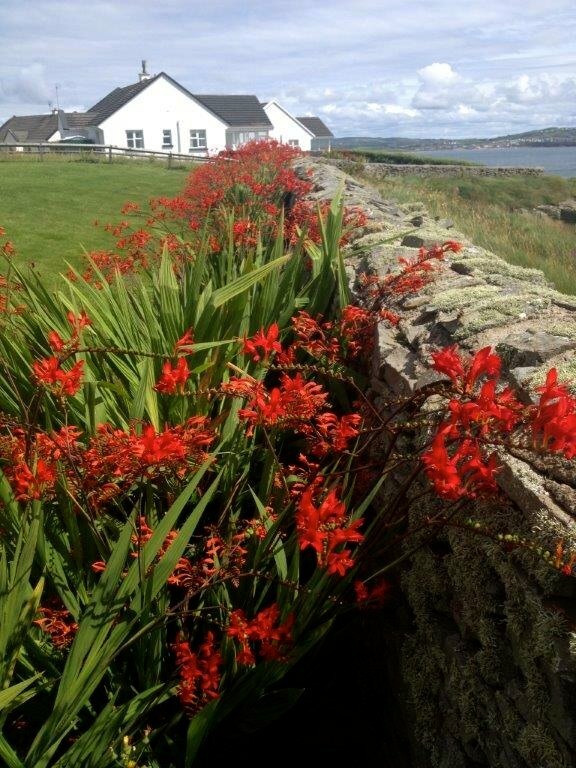 The Glynn family history dates to circa 1794 in Ireland, according to genealogy documents obtained in County Mayo. 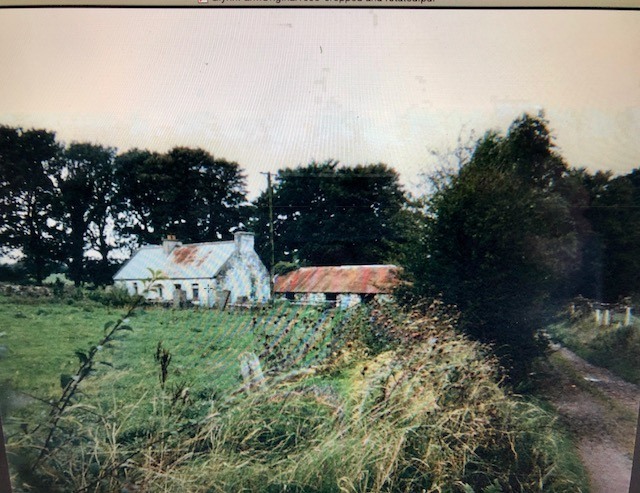 My paternal great-grandfather, Thomas Glynn, was born July 3, 1866 to Hugh Glynn and Bridget Lyons in the town of Feamore, which is close to the village of Logboy, four miles south of Ballyhaunis, County Mayo. Ballyhaunis is located in the western part of Ireland where the Irish Potato Famine, 1845 -1849, hit farmers hard. My Irish friends argue the Great Famine was an intentional genocide by the British government who viewed Ireland as nothing more than a poor country filled with uneducated, Catholic nonconformists. *But in 1845, a strain of Phytophthora believed to originate from North America, rotted the potato crops across Ireland. Potatoes were an inexpensive crop, easy to farm, a food rich in nutrients and a staple of the Irish diet. The next three years the disease nearly wiped out the country’s viable crops starving to death an estimated one million people and forcing another two million to abandon their homeland for England, North America and Australia. What was Ballyhaunis like in 1866? It was a sparse farming community with a few large families banding together to survive. The years following the famine resembled post war scenes. People crawling out from the rubble working tirelessly to rebuild their lives, provide food for their families and keep their children safe and happy. People were poor and received no formal education. They were unskilled laborers possibly owning land but more likely paying rent to British landlords. My great-grandfather was the first son and the second of eight children born to Hugh and Bridget. Given the name Thomas at birth, documents reveal that somewhere along the way he adopted John Thomas. Many Irish who emigrated during this time adopted another name or middle initial often a Confirmation name or a father’s name. The vast majority of Irish born in the 1800s didn’t actually know their birth date typically misstating their age on marriage, naturalization and census records, making it challenging to piece together accurate timelines. John Thomas recorded his birth date as 1874 in subsequent documents. He was off by eight years. At some point in his teens, John Thomas along with his two younger brothers ventured to Lancashire, England, an Irish enclave. I imagine he was an adventurer optimistic for a new life — a dreamer. He was brave and smart. What he lacked in schooling, world experiences provided him. There was no looking back now. He would grow roots in England. But, alas, his story continued. John Thomas married Kate Hulme, whose family left Ireland for England two generations prior. They started their life together in Lancashire but the British treated the Irish as second-class citizens offering them the least desirable and lowest paying jobs if anything. They struggled. John Thomas worked and saved and plotted a brighter future in the United States. 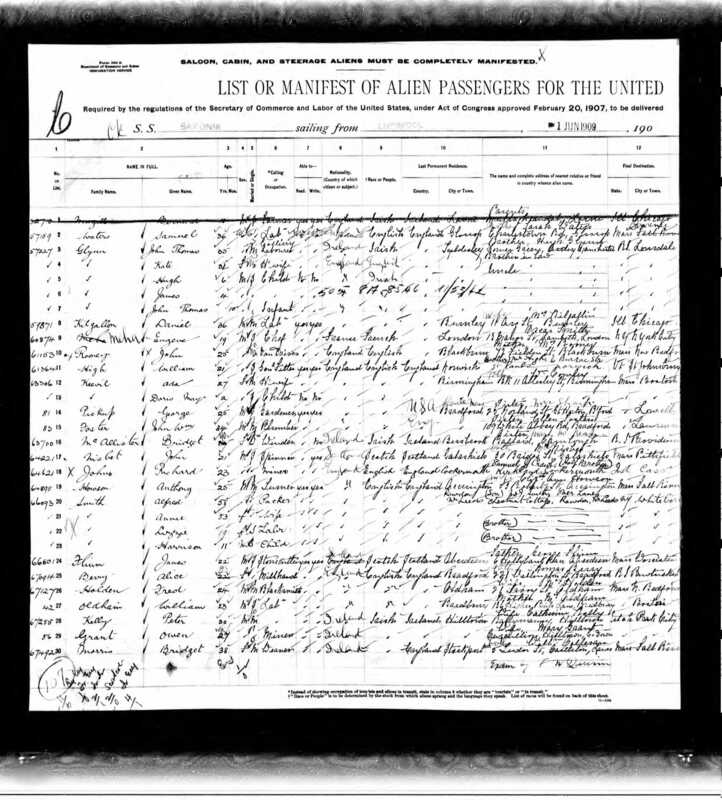 Perhaps with their life savings in hand, my great-grandparents, John Thomas, a pregnant Kate and their three sons ages 6, 4, and 10 months boarded the ship, S/S Saxonia, a British Cunard Line, in Liverpool, England bound for Boston, Massachusetts. They crossed the Atlantic Ocean in 10 days arriving in Boston Harbor on June 10, 1909. My great-grandfather left behind his parents and seven siblings in Ireland –eventually his brothers returned to Ballyhaunis and married. Immigration requirements at the time mandated passengers secure a sponsor in the United States. It is not known who my family knew in Lonsdale, Rhode Island but shortly after they reached the United States, the family of five made their way from Boston to Lonsdale, a manufacturing area about 10 miles outside of Providence. *In 1910, there were approximately 1.3 million Irish living in the United States. 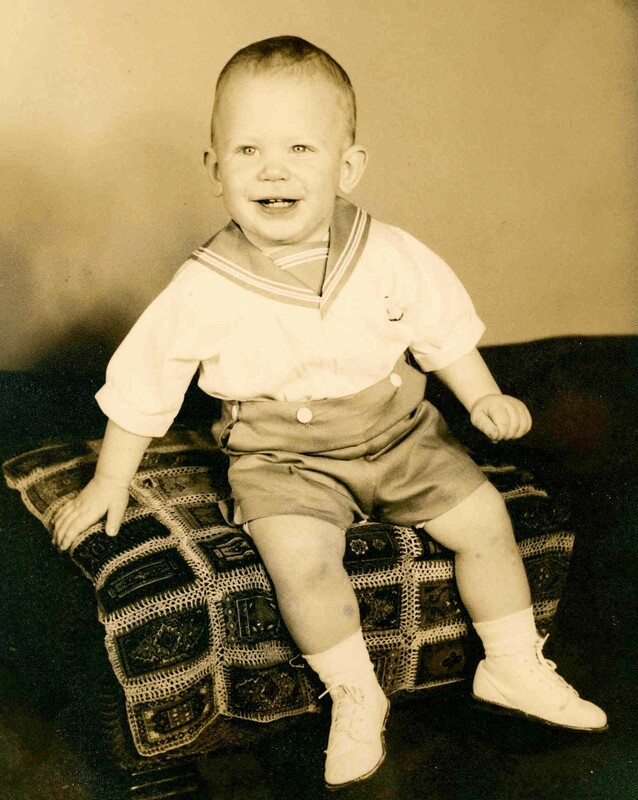 My grandfather, William “Bill” Glynn, entered the world on March 22, 1910, the first-born American Glynn. Soon after my grandfather’s birth, my great-grandmother Kate moved the family to Harrisville in Northern Michigan. Family members recall Kate complaining about her husband’s drinking and thought a more tranquil environment suited her growing family. Harrisville reminded John Thomas of his home in Ireland. Close to Lake Huron, it was quiet and provided vast amounts of unspoiled land to farm. They bought land, built a home and settled into life. They were happy. The Great Depression hit the United States in 1929 and financially destroyed Americans particularly immigrant communities. My family was not immune. John Thomas and Kate lost their farm in Harrisville and decided to return to Rhode Island for work. This misfortune created a schism in the family: My grandfather and his three older brothers remained in Michigan finding work at General Motor’s Buick factory in Flint and his four youngest siblings relocated to Rhode Island with their parents. I cannot attempt to understand the heartache my family endured, but as a child I remember asking my grandfather about our family in Rhode Island. His face calmed, he became reflective and his eyes divulged sadness but that only lasted seconds before he burst into lively chatter recounting stories about his sisters and brothers. My grandfather, a first generation American, married my grandmother, Geraldine Hall in 1941. Her family, the Daly’s, arrived in Flint, Michigan in 1840/41 from County Meath, Ireland. Bill was honest, hard-working, gentle and kind –a peacemaker who didn’t ruffle feathers and followed the rules. Geraldine, the loud, talkative type, devoted herself to family and friends serving as the glue binding the family together. She never met a stranger she did not befriend and she was generous to a fault. 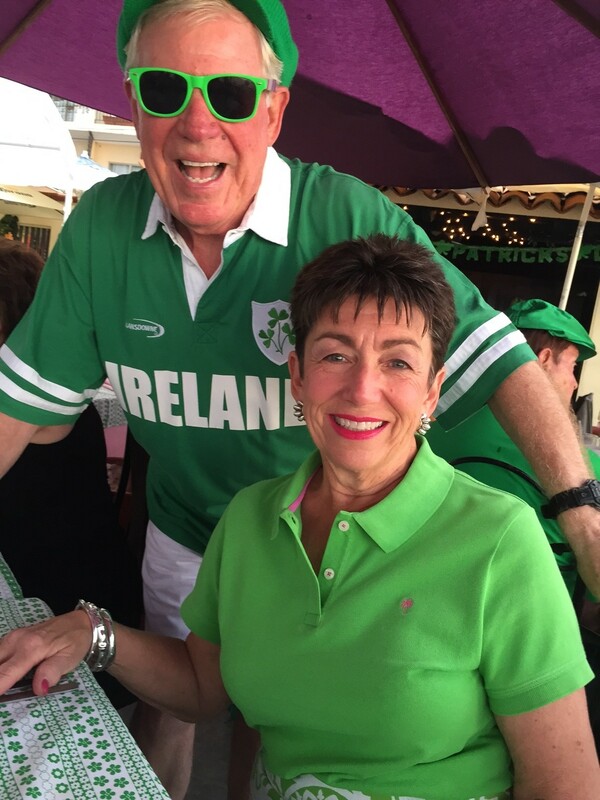 They reminded me of the Irish version of Lucy and Desi in I Love Lucy, relatable and funny. I surmised Geraldine was quite the pistol in her youth. 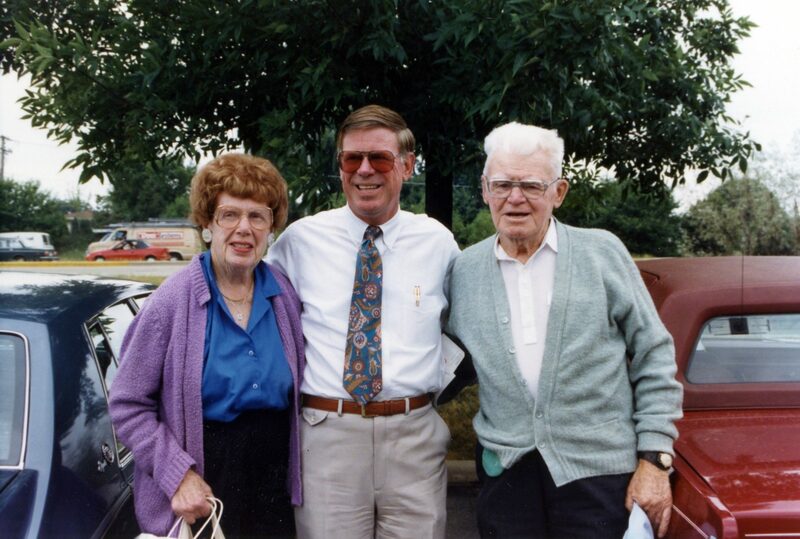 When my grandfather asked her to marry him, he said, “It’s now or never Geraldine.” She used to tell my brother and me that story over and over until she died at age 93. Shortly after my grandparents married, World War II started and the U.S. Army drafted my grandfather. 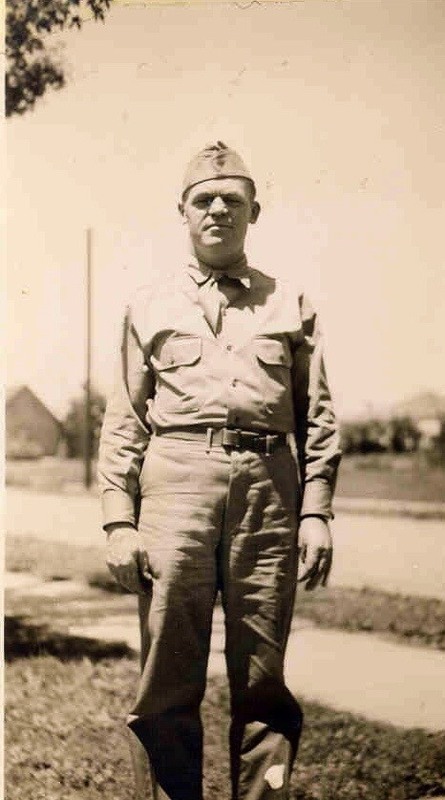 He served four years in North Africa and Italy with the 45th General Hospital as a Sergeant in the Medical Corps. While at war, Bill missed the birth of his son, my father, William Michael “Mickey” Glynn in 1943 and the passing of father John Thomas, the patriarch and his younger brother who died during a military training exercise. After the war, life resumed to normal. The family expanded with the birth of twin girls, my aunts. My grandfather worked as a drop forge operator, a grueling job but one available for a son of immigrants with a sixth grade education. My grandmother raised the children, preparing baked goods for the Church and entertaining her relatives. The family was poor but my grandparents believed in education and my dad and his sisters attended the local Catholic school. All three children graduated from college. In 2016, my dad became an Irish citizen. He is proud of his heritage and takes great pleasure in telling people he is Irish. I listen to my dad’s stories about his childhood and realize my good fortune is a result of his sacrifices and those who came before him. 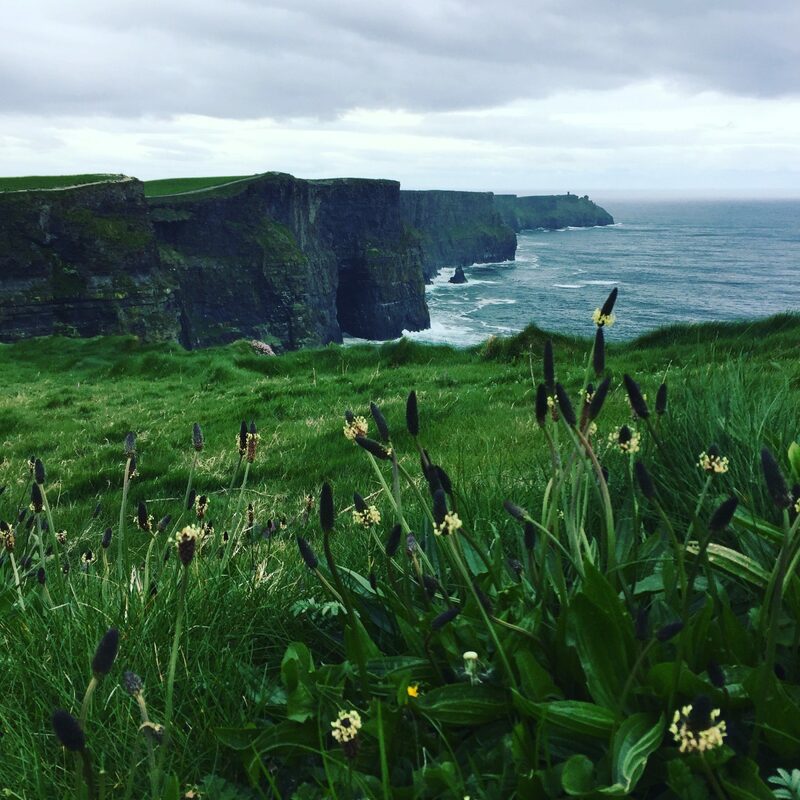 My family visits Ireland often and while we all complain about the weather, we go to view the beautiful countryside and to connect with the people. 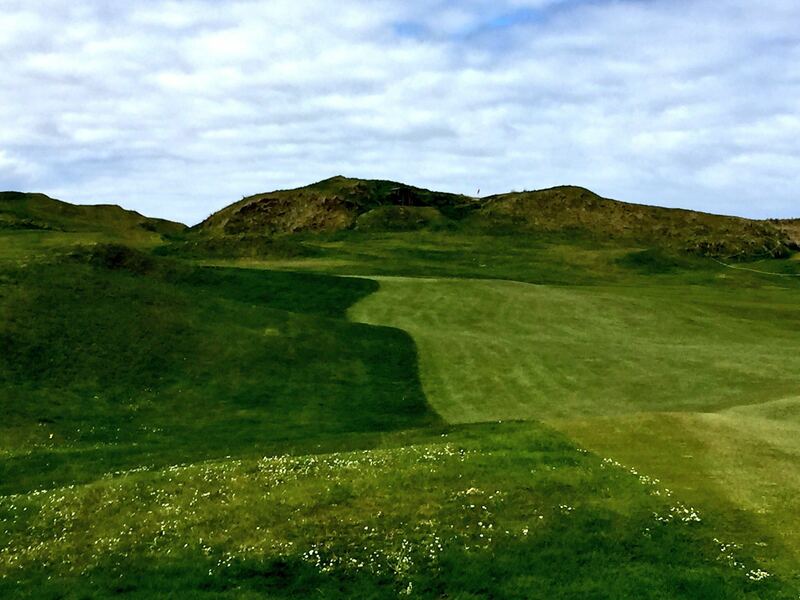 My brother Patrick and my dad participate in annual father son golf trips and a few years ago my parents purchased a quaint Irish cottage where my dad delights in recanting tales of his family’s modest beginnings. 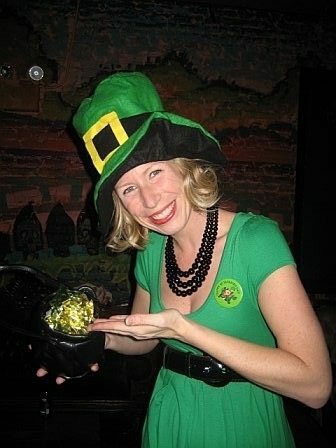 Today about 35 million Americans claim Irish ancestry. The Republic of Ireland’s population is 4.7 million and Ballyhaunis is home to about 2,300 people, a blend of Irish, Polish and Pakistani immigrants. Farming is the predominant industry and Glynn cousins are still toiling the land. I am a proud American, a European mix of Irish, German, French, British, and Scandinavian heritage. My family, an Irish family, faced adversity every step of the way but they persevered. They fought back poverty, starvation and prejudice. I imagine my ancestors wanted the same things in life for their children as my parents have provided for me and my brother: a home, an education, opportunities for a better life, friends and family and most importantly love. My dad never met his Irish grandfather. He passed away the year he was born but John Thomas did send a $10 bill “to give to Bill’s son.” My dad, a sentimental person, holds onto this keepsake today.